Gaylord. Mary’s originally opened its doors in the mid-1930s and has continued to be passed on through the generations. With 25 craft beers and 15 on tap, Mary’s has a great lineup of brews and also offers a 2 a.m. close every night of the week. If you’re planning a bar crawl you can’t forget about Mary’s. Enjoy a beer and a game of pool, or several, with your friends. 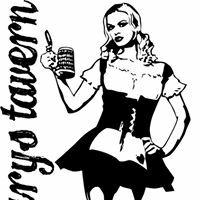 Contact Mary’s Tavern for a menu and taplist.